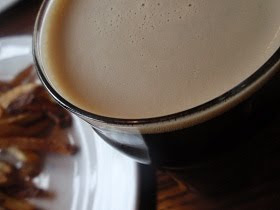 Thirsty Pilgrim: In The Future, Maybe, All Food Will Be Smoked Pork Belly, and All Beer Will Be Cask Porter. In The Future, Maybe, All Food Will Be Smoked Pork Belly, and All Beer Will Be Cask Porter. 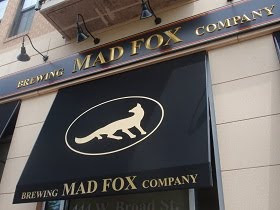 Last week was the Mad Fox Brewing Company's first in action, and on Wednesday we slid into one of its booths after a hot and steamy mile-long hike from the Metro station. Well, it should have been a mile long. Our navigator's wrong turn made it more like two miles. Oh, sweet air conditioning. We love you almost as much as we love cold beer. And any fool who says beer should never be served cold has never been in DC in July. But I digress. The pub's atmosphere was just fine. Still feels and smells a bit new. Faux-English style, with wood paneling and bonus points for cushioned stools all around the long bar. They are the sort of stools you could sit in for a very long time. Like any other reasonable men, we were completely unable to resist ordering the small slab of smoked pork belly. 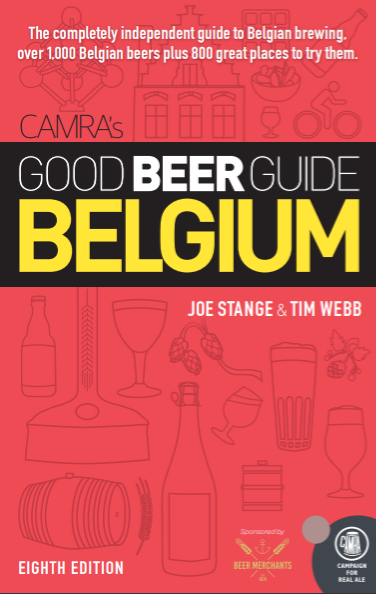 (Good luck finding a beer that wouldn't pair well with that.) I stuck with a barbecue theme and advanced to the brisket sandwich. My choices were correct. Meanwhile that cask porter is still lingering in my mind a few days later. Velvety smooth and chocolaty rich, it should not have tasted as fine as it did after that walk through the Inferno. We were told there are many more beers on the way. It was only the first week and all. Many good things to come from 444 West Broad Street in Falls Church, Virginia. One to watch, as they say. Ah man, I can't even tell you how good that sounds. I too enjoyed pork belly for lunch yesterday, although with a pint of sweet, floral Timothy Taylor Landlord (or two). Smoked pork belly. Wonderful. mmmm.... 9:30am and I want to smoke up a pork belly now. Damn this whole "work" thing. Sounds like your having a tasty trip! A tasty trip indeed. As are all our trips. The stomach makes a fine navigator.